Make Sure You Do Your Homework. Under Australian law animals are classified as property therefore you can state in your Will how your pet is to be cared for. 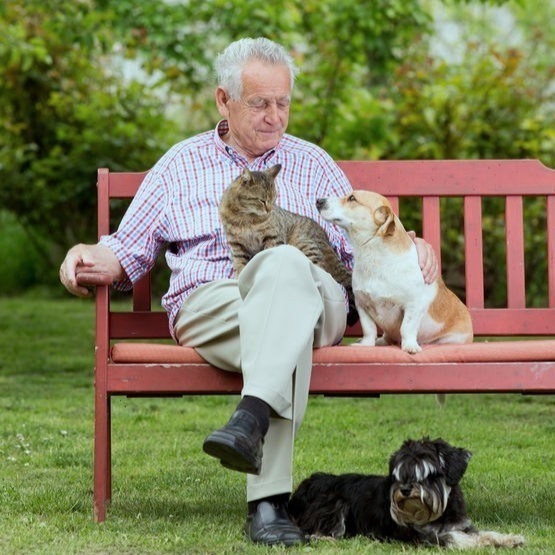 If you do not make provision for your pet in your Will the residuary beneficiary will inherit your pet. If you do not have a valid Will when you die your pet will go to your next of kin. Make sure you do your homework! Gift your pet to a friend or charity and establish a trust under your will where your trustee will hold funds to be used for the benefit of your pet throughout your pet’s lifetime. The simplest provision for a pet under a will is to gift a pet to a trusted friend or charity. You may consider coupling this gift with a request that your friend or charity either look after your pet in a particular way or make arrangements for your pet to be re-homed. Your request is not binding, it’s more like guidance. A pet trust is a legally sanctioned arrangement providing for the care and maintenance of one or more companion animals in the event of your disability or death. Typically, a trustee will hold property (cash, for example) in trust for the benefit of your pet. Note, however that a dispute is likely to ensue if you leave all or most of your money to your pet so plan properly and use discretion. Provide instructions for the final disposition of your pet (for example, via burial or cremation). The above list is not exhaustive so make sure you are doing the right thing by your beloved animal companions. To schedule an initial consultation for your Wills and Estates Law matter, contact us on (08) 94742832, via email or make an online booking.